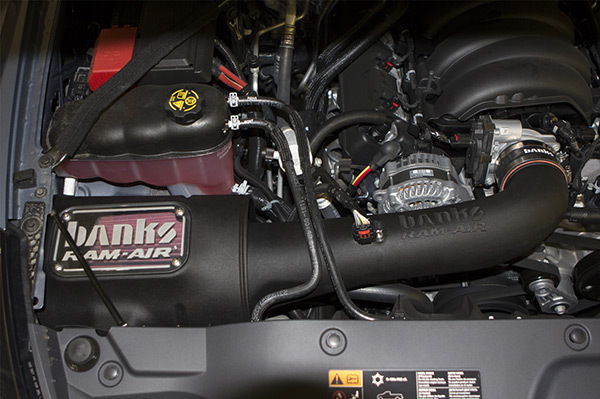 Banks Ram-Air Intake feeds your Chevy/GMC gas engine cooler, denser, outside air for greater power and fuel economy. Its performance is extensively tested and validated: in the computer, using Computational Fluid Dynamics software... on the flowbench... and later, on the vehicle. Let the others build and ship: Ram-Air's performance is proven, again and again! Note: This product does not fit 2500 or 3500 pickup trucks. 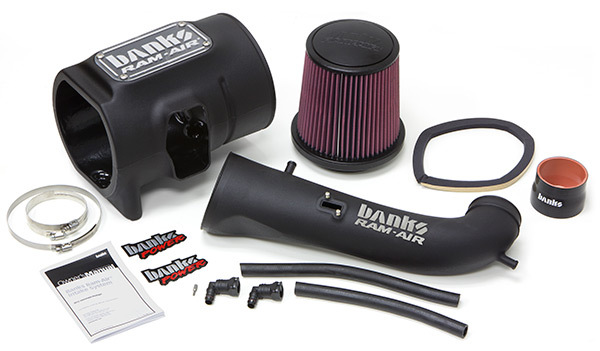 Banks Ram-Air for Chevy/GMC V8's. The 2014-16 intakes feature a Plexiglass window so you can easily monitor the condition of the filter. NEW FILTER OPTIONS!Choose from the traditional red, oiled filter or the all-new black, dry filter. Plus, you can even get an extra layer of filtration protection by adding a pre-filter to your order.